To help meet the needs of a respected music program within a growing liberal arts school, Bluffton University, along with RCM Architects, worked together to create a world-class recital hall, from a generous donation by Bluffton Alumni, Al and Marie Yoder. 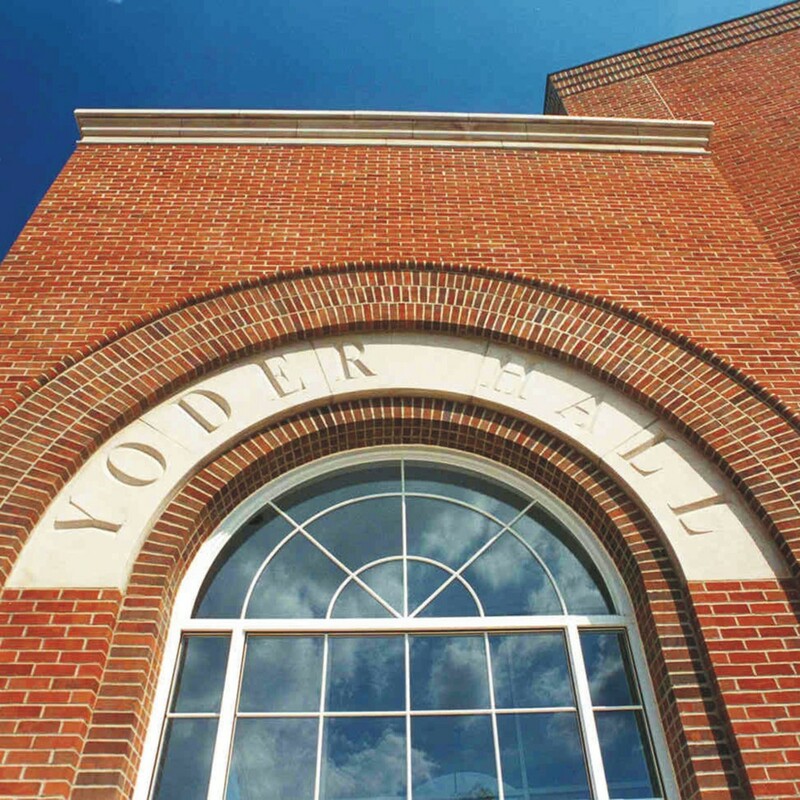 The Hall was appropriately named Yoder Hall. This 300 seat recital hall features a 3,000 s.f. maple performance stage with acoustical flexibility to accommodate all musical varieties of musicians, from solo artists to full orchestras. The arched ambulatory enhances the sound, producing a cathedral like resonance in a much smaller space. 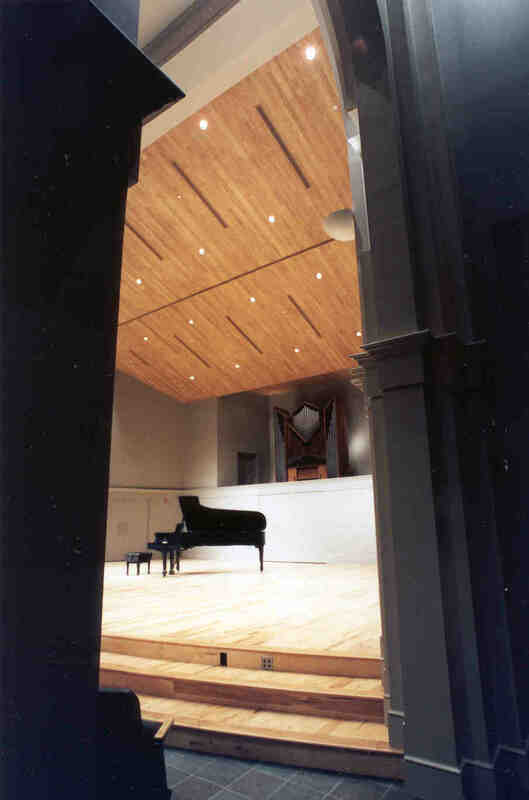 The program for the overall facility included green rooms, backstage warm-up rooms, and a physical connection to the existing Music School Building. The recital hall now includes two Harpsichords and a Baroque-style Pipe Organ, offering varied opportunities for keyboardists and continued education. 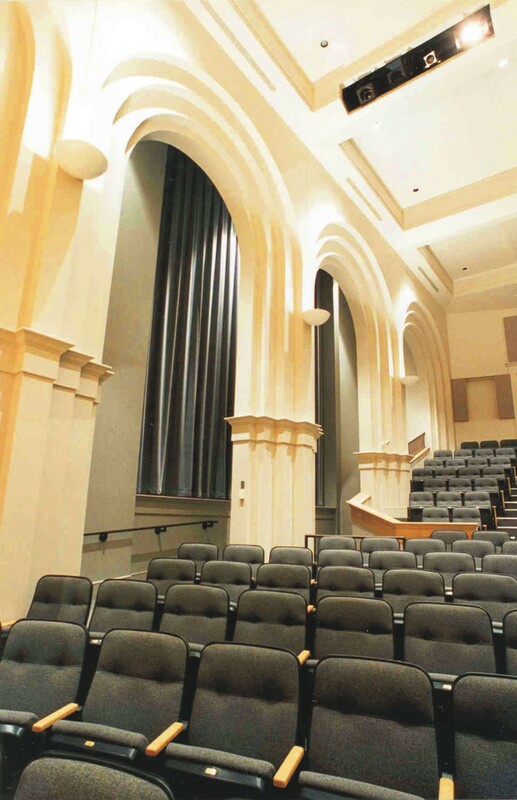 In addition to student recitals, Yoder Hall has become a favorite performance venue because of its excellent acoustics and clarity.